Going to the supermarket here is always an adventure. There are maybe a dozen of these little "supermarkets" and you never know which items will be at which store. In order to find 10 items on my grocery list, I often go to 2 or 3 different supermarkets. The nice thing is that they are fairly close to one another. 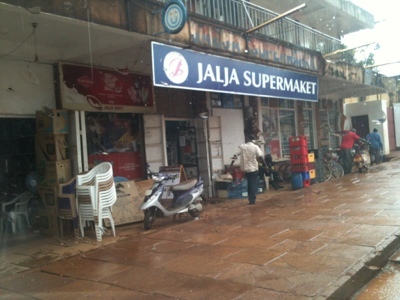 This week I heard about a supermarket that I had not been to yet, Jalja Supermarket. A friend told me that some items were a bit less expensive there and they were kind to her. So I decided to check it out. I went in with Ezra and Zeke and found most of the items on my list. When I was checking out, which is the man adding up the cost of the items on a calculator, Zeke was eyeing some apples. Apples are more expensive here since they do not grow in the tropical climate. As we were leaving the man told Zeke he could have an apple. Zeke asked him twice to be sure, "I can have this? This apple?" He was very excited! On another day I needed a few more items from the store so I went back to Jalja. When I got to the check out I realized I did not have enough money to pay. I was 40,000 shillings short, which is about $15. The man told me to just bring it next time. I asked again to make sure I understood correctly. He must think our family has trouble hearing. But it is unusual to receive generosity in business dealings. I have gotten used to haggling in the market where they will try to charge me, the mzungu, triple the usual price if I don't know the difference. So this kindness from the man at Jalja has been so refreshing! While I will still need to go to several markets to get all the desired items, I am glad to have found a new favorite!